Pasta Risottata – the latest rage in Italy for cooking pasta. Using the same method as when making a risotto, the raw pasta cooks in the hot stock that is added slowly. In this way, the pasta releases starch, which will thicken the sauce. 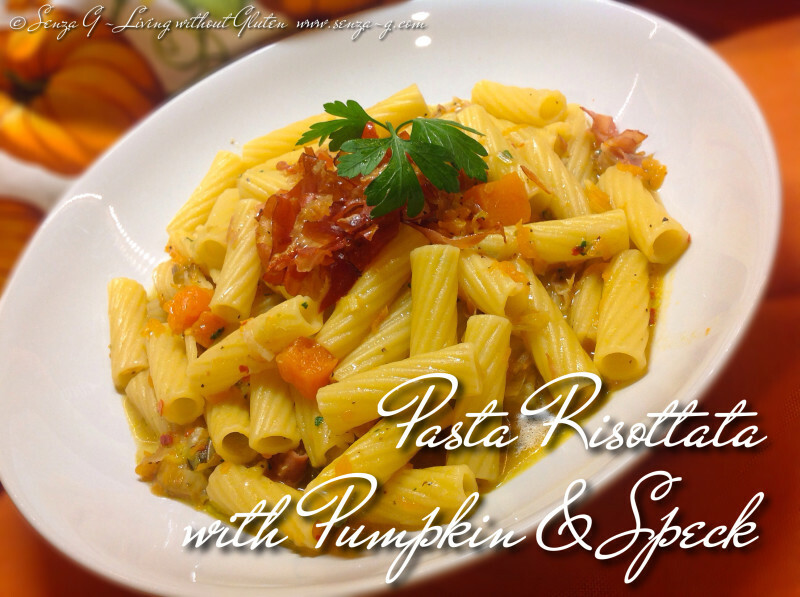 Perfect for gluten free pasta since they release so much starch! However, do keep in mind, that gluten free pasta breaks easily, so do not over mix. Also make sure to remove from the heat when it is still very al dente. It will keep cooking. The great thing about cooking pasta this way is that the pasta itself tastes much better since it absorbs all the lovely flavors. Put the stock and one rosemary sprig in a small pot, bring to the boil and then leave to simmer. In a large pot, saute the leeks together with 1/2 of the speck strips for about 3 minutes. Add the pumpkin cubes, the garlic, the lemon zest, the rosemary sprig and the sage leaves and leave to cook for another 3 minutes. In the meantime, put the remaining speck strips under the grill and cook until they start to crisp. Take out and put aside. Add the raw pasta to the pot, cooking for another couple of minutes, stirring gently. Pour in the white wine and stir. Add enough of the stock to cover the pasta and mix gently. Season. 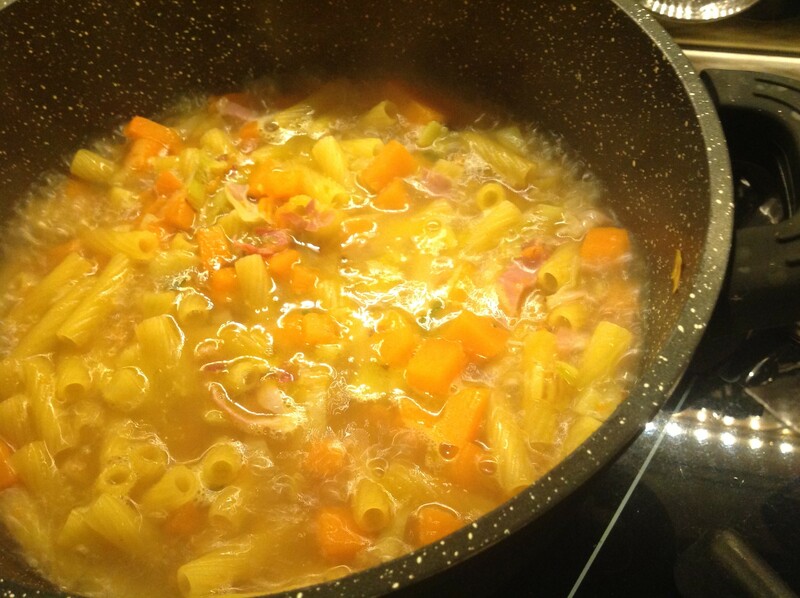 Lower the heat and cook for about 5 minutes, adding more stock as it is absorbed, until the pasta is nearly cooked. Remove the pasta from the heat, add two tbsp olive oil, sprinkle with the Parmesan Cheese, grind some fresh pepper and very gently combine to avoid breaking the gluten free pasta. Plate, and top with some crisp speck strips.